Scientists from ITMO University developed a laser for precise measurement of the distance between the moon and Earth. The short pulse duration and high power of this laser help to reduce errors in determining the distance to the moon to just a few millimeters. This data can be used to specify the coordinates of artificial satellites in accordance with the lunar mass influence to make navigation systems more accurate. The study was published in Optics Letters. Both GPS and GLONASS systems are based on accurate measurement of the distance between a terrestrial object and several artificial satellites. Satellite coordinates must be as accurate as possible to ensure precise object location. Additionally, the moon's mass affects satellite trajectories. Therefore, lunar coordinates must be taken into account when calculating satellite position. The lunar coordinates are obtained by measuring the distance to the moon with laser locators. The accuracy of such locators depends on the laser features. For example, the shorter the pulse and the smaller the laser's beam divergence, the easier it is to measure the distance between the laser and the moon. 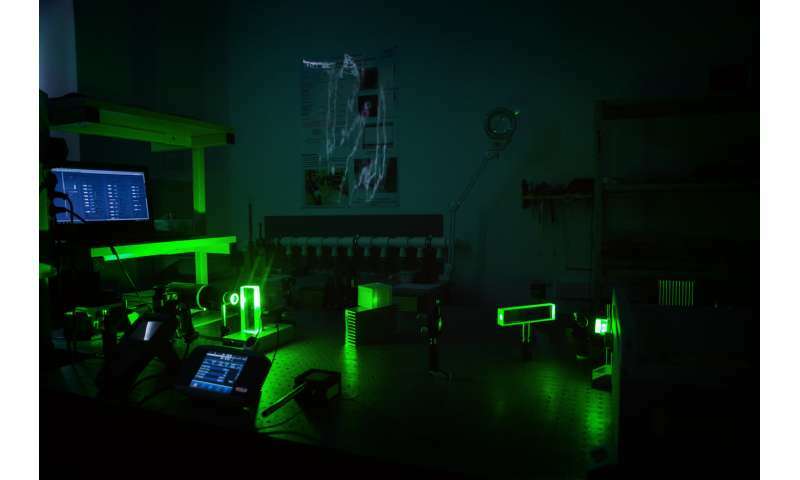 "Actually, creating a laser with a pulse duration of tens of picoseconds is no longer technically difficult," says Roman Balmashnov, engineer at the Research Institute of Laser Physics and PhD student at ITMO University School of Photonics. "However, our laser's output pulse energy is at least twice higher than that of its analogs. It is 250 millijoules at the green wavelength and 430 millijoules at the infrared wavelength. We managed to achieve high pulse repetition rate of 200 Hz and energy stability, so the pulse energy does not vary from pulse to pulse." "The laser we've developed is a cutting-edge by several criteria. According to our data, it is the most powerful pulse-periodic picosecond source of laser radiation in the world. 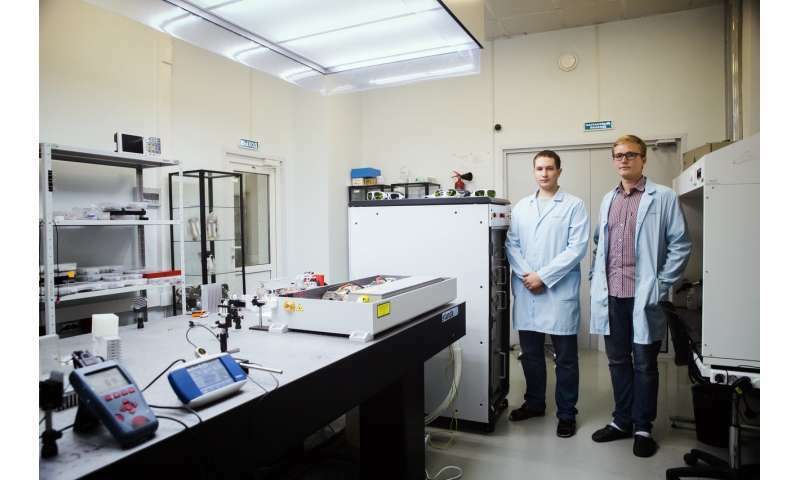 In addition to strictly ranging applications, lasers of this class can be used for imaging of orbital objects, for example, satellites or space debris," notes Andrey Mak, the head of ITMO University's Research Institute of Laser Physics.